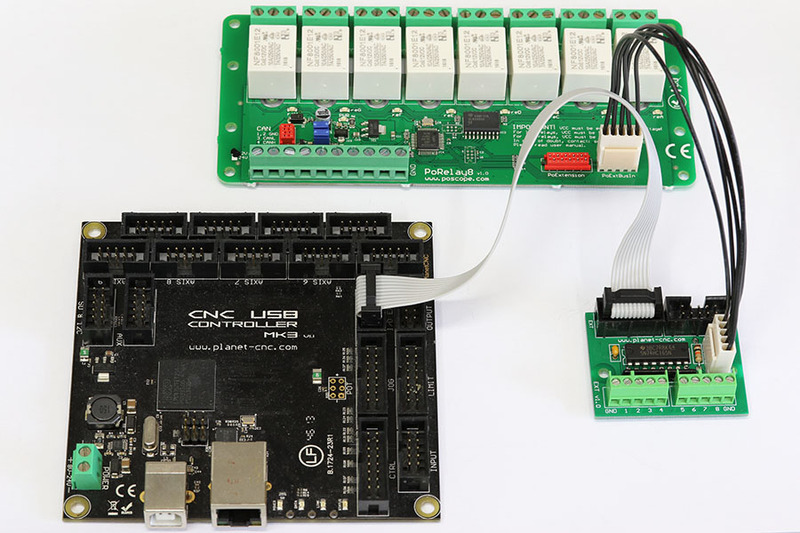 PlanetCNC controllers offer digital outputs for external equipment control. 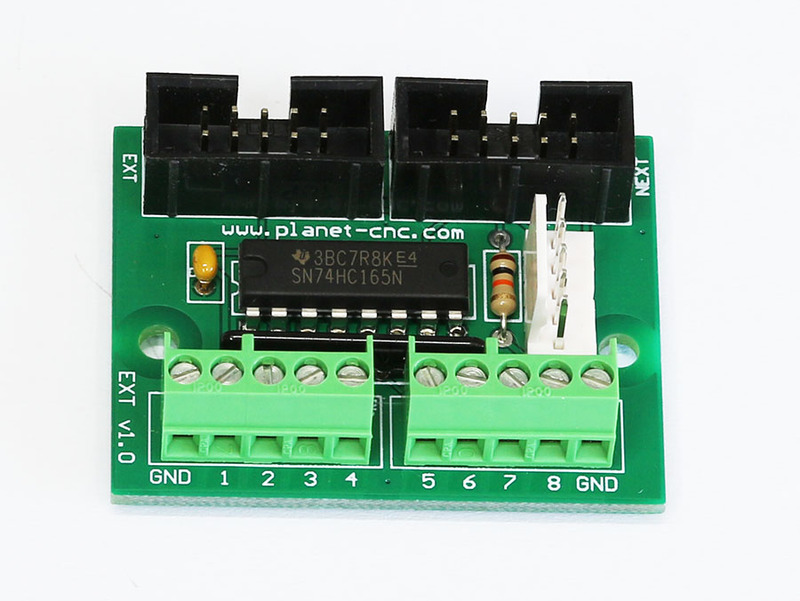 Digital outputs of controller are usually used with output board for spindle control. 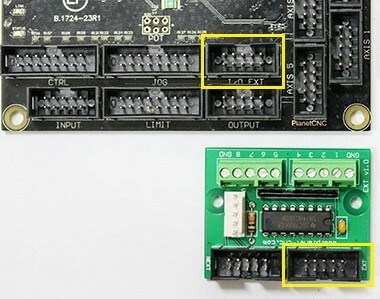 To expand number of outputs, you can use ExtOut board with 8 relays. 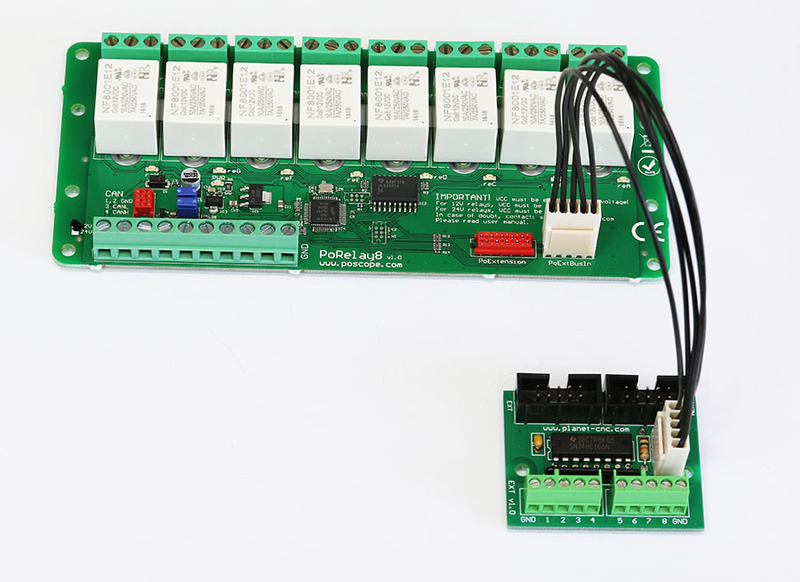 This board comes useful when you need to control many external devices such as vacuum pumps, various actuators, selenoid pneumatic valves (ATC). 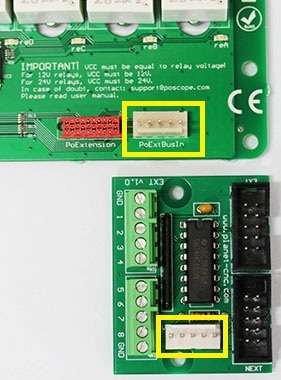 -ExtOut board is connected with Mk3 controller trough ExtIn board.